Ships today if you order in the next 9 hours 5 minutes. The human heart beats over 2.5 billion times in a lifetime. Unfortunately, heart disease is the leading cause of death of both men and women in the United States, so taking loving care of this organ is more crucial than ever. 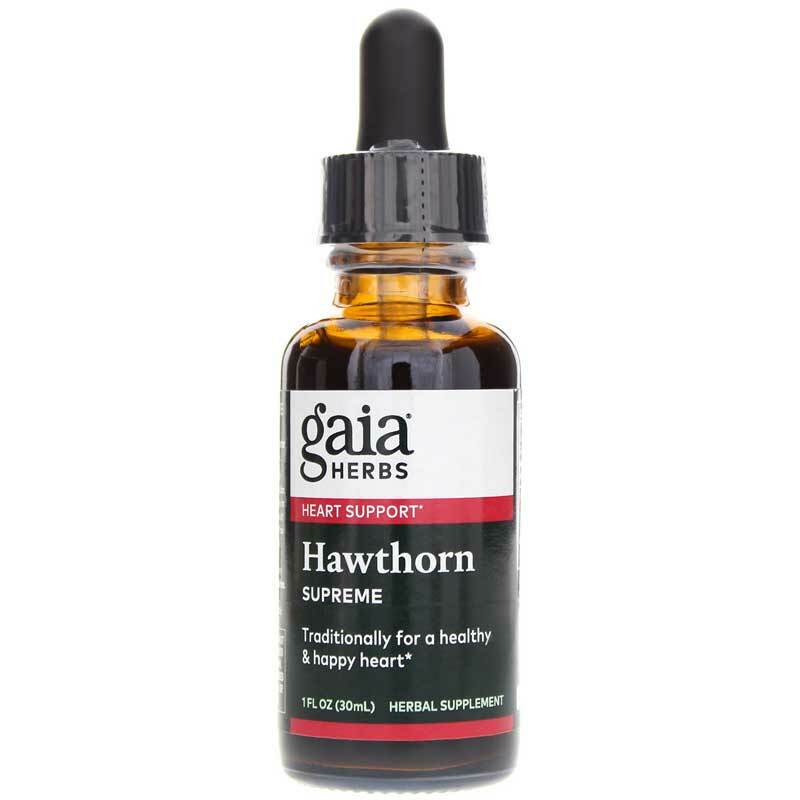 Hawthorn Supreme from Gaia Herbs is a liquid herbal extract that may help promote cardiovascular health and healthy blood flow while offering antioxidant protection. Hawthorn (crataegus spp.) 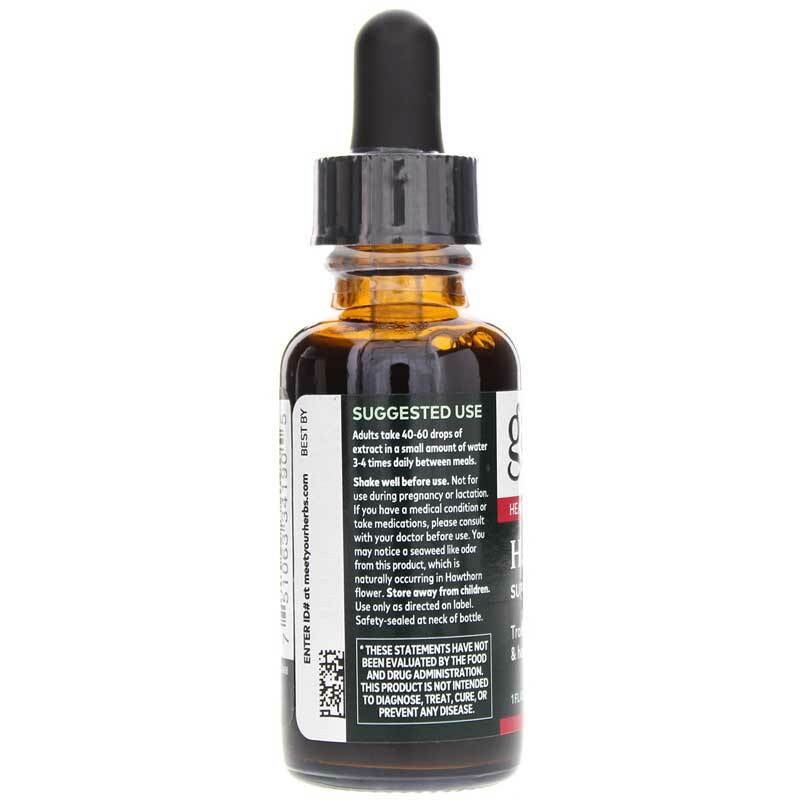 has been valued as a cardiac tonic herb for thousands of years. The leaves, flowers and berries have all been used to support healthy blood flow, heart muscle function and blood pressure. Hawthorn is rich in flavonoids and oligomeric proanthocyanidins, which may offer antioxidant protection to the heart and vascular system. 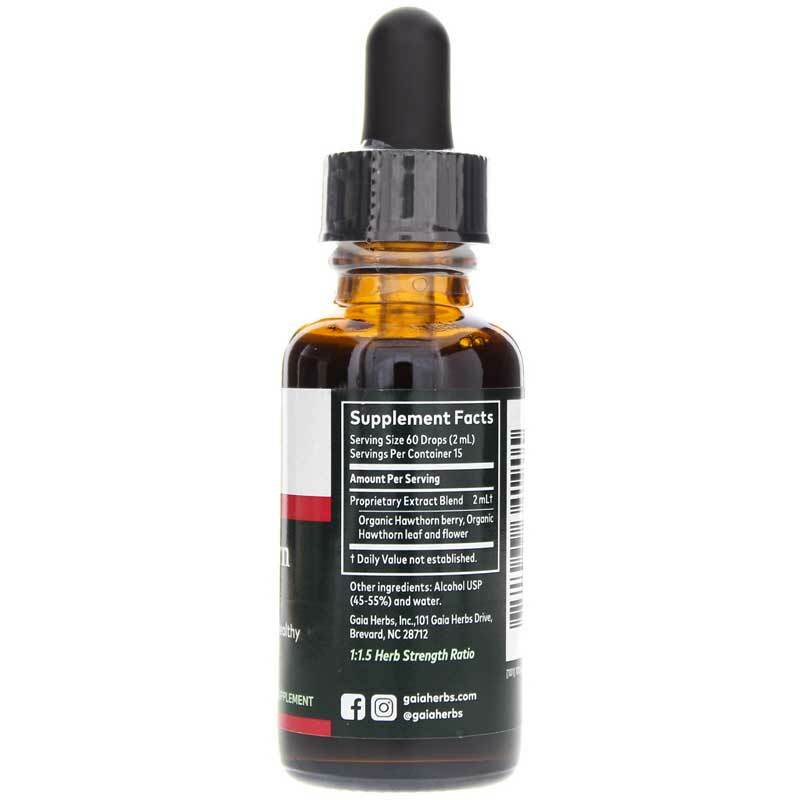 Just 40-60 drops of this liquid extract in a little water 3-4 times per day between meals may help keep your heart, joints and vascular system healthy, naturally. Order yours now!